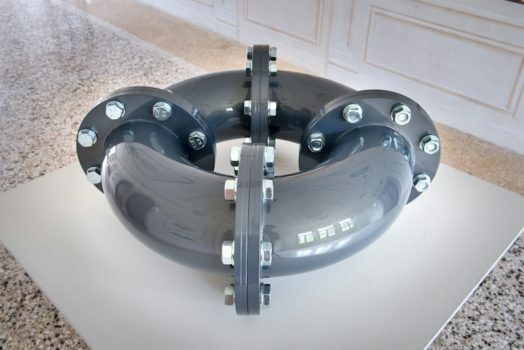 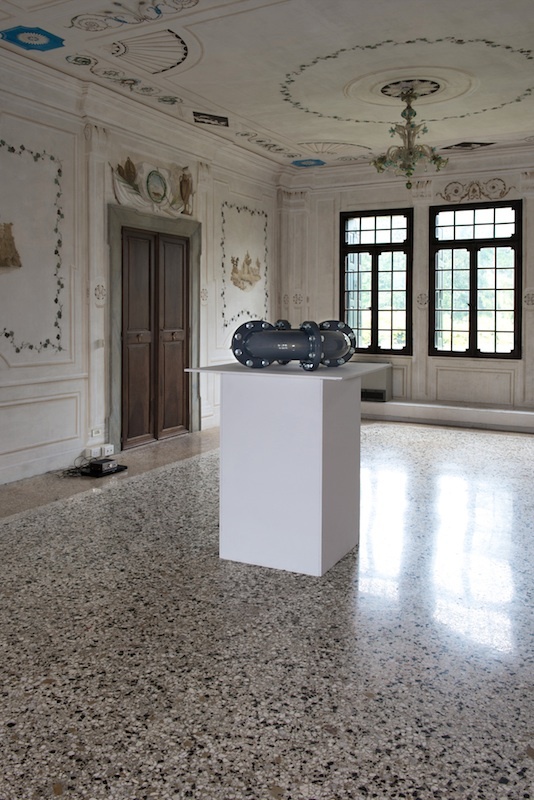 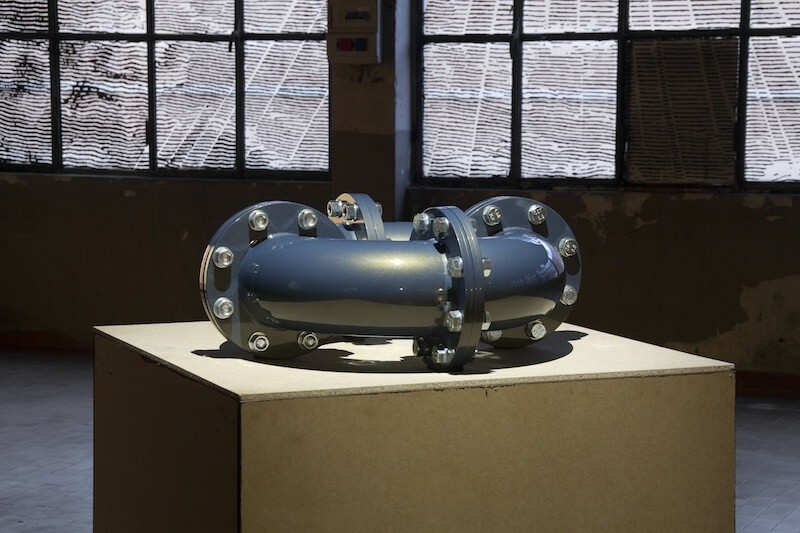 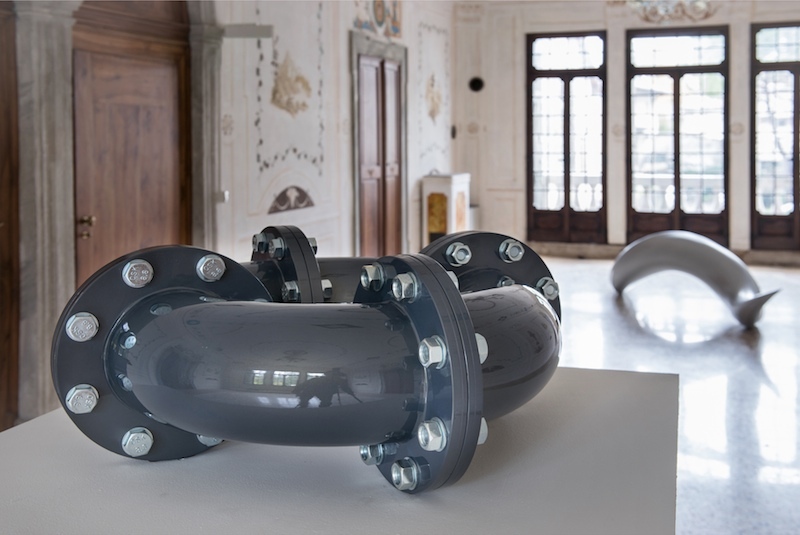 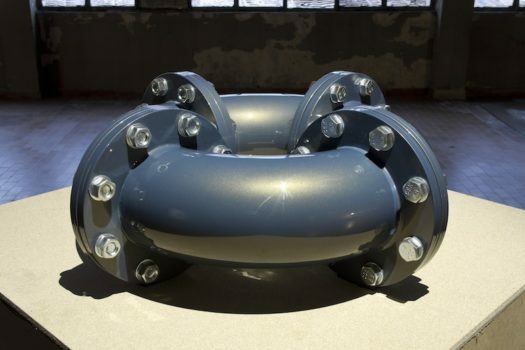 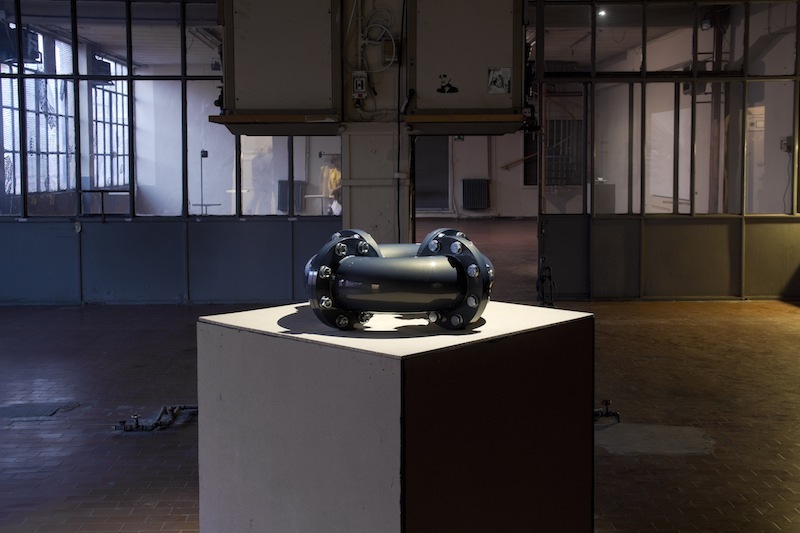 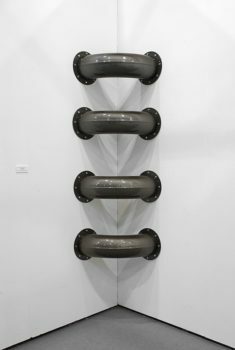 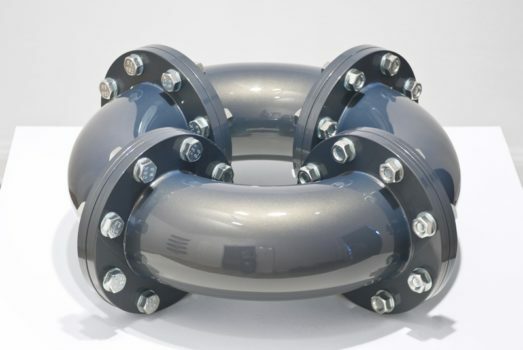 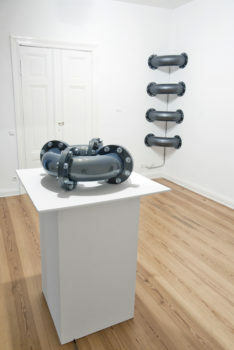 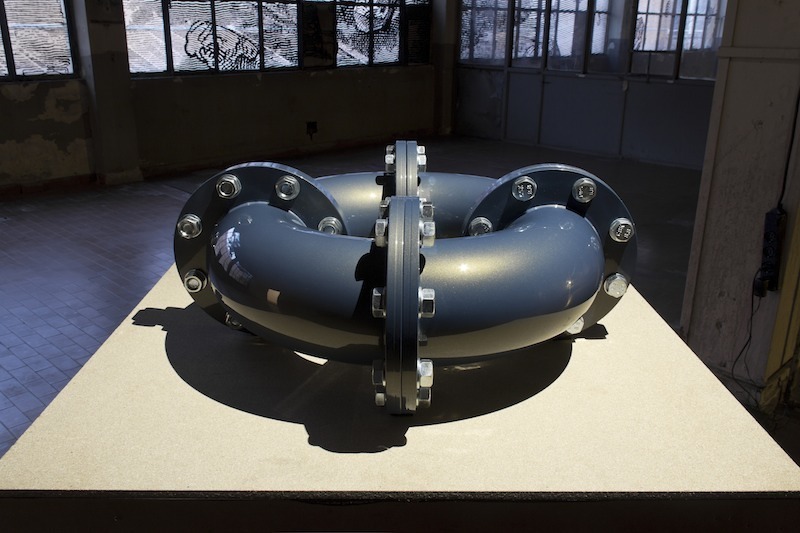 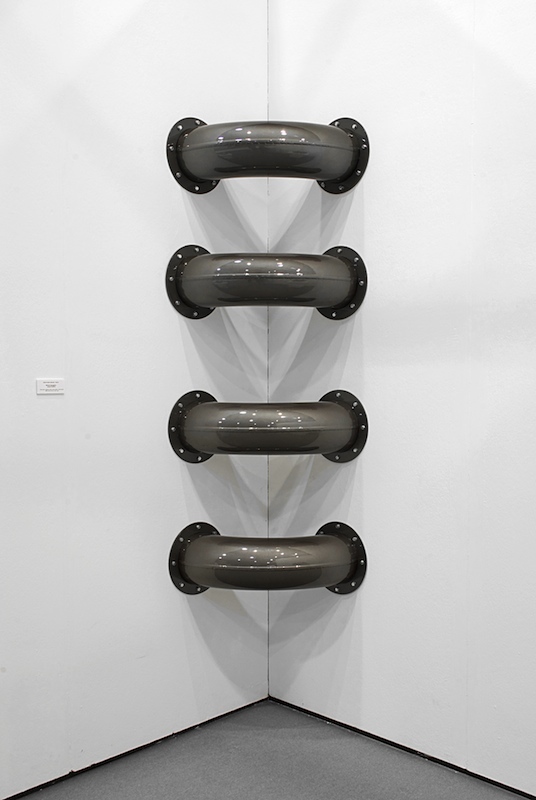 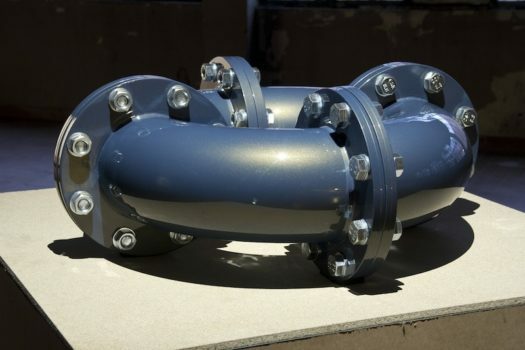 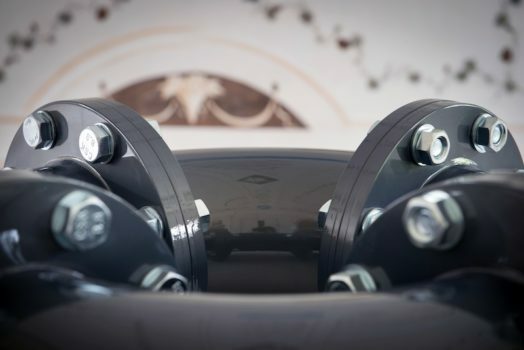 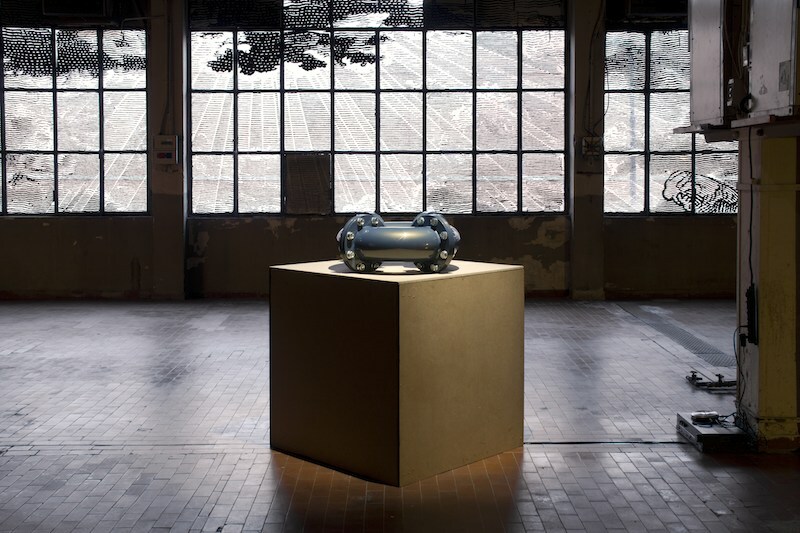 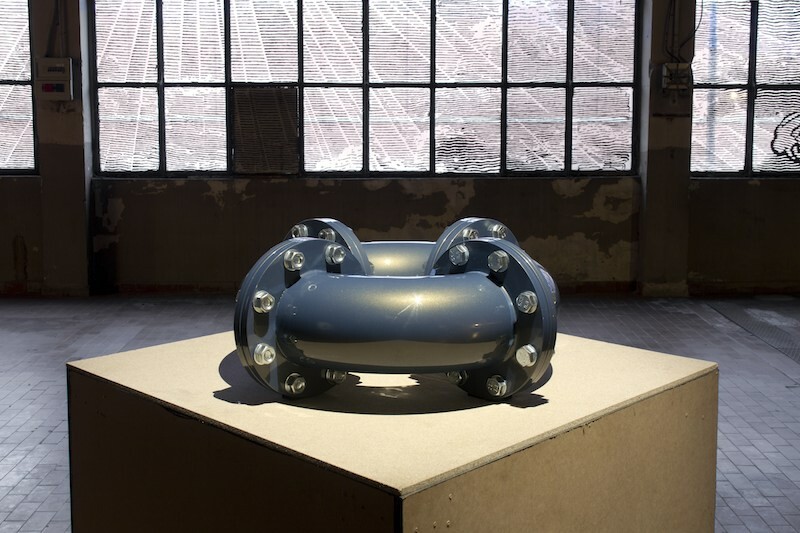 The sound sculpture Stream are composed of curved industrial pipes joined by bolted flanges. 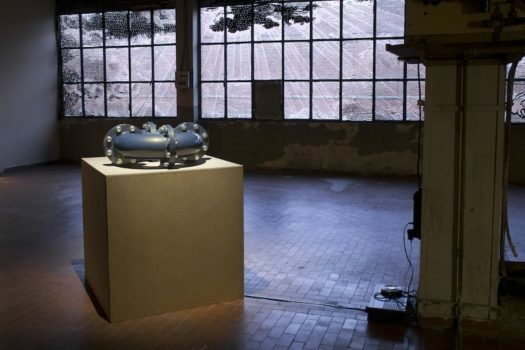 Loudspeakers inside the sculptures play an audio recording of crude oil that streams through an extraction pipeline system. 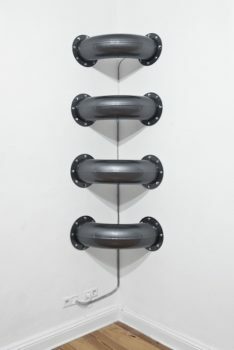 The extremely refined varnishing gives a precious appearance to these common industrial elements and creates an aesthetic estrangement, while the curved pipes are to indicate the circularity of an oil driven economic system that nevertheless turns out to be an economically closed circuit.